You’ve just finished the most attractive and engaging CGI intro to a game that’s ever been made, and now you’re dropped head-first into a burning city infested by the walking dead. There’s none of the gentle introductions or tutorials of the 21st century – there’s not even an explanation of the control scheme or player goals at all. But there are zombies. More than you’ve ever seen on screen. And before you even realise you’re in control, they’re bearing down on you, giving you nowhere to retreat. So, you push forward, deeper into the now-legendary Raccoon City. It’s 1998, and you’ve just started Resident Evil 2, one of the most iconic survival horror games ever made. 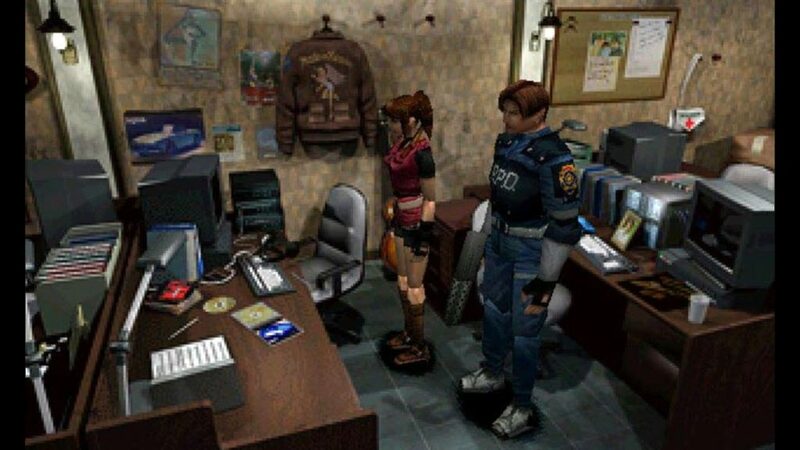 Resident Evil 2 was released on January 21st, 1998, kicking off a year of unbelievably prominent releases, such as Ocarina of Time and Metal Gear Solid. Players who were familiar with the first game – a landmark title in its own right, released two years prior – knew what to expect; a plethora of obscure puzzles, finicky tank controls, a strong focus on inventory management and more zombies than you could shake a Jill Sandwich at. What players didn’t expect were the things that made certain Resident Evil 2 not only broke sales records but earned a permanent place in the hearts and minds of many, many players; intricately detailed pre-rendered environments, the surprisingly innovative “Zapping” system, all-new horrific creatures, and a playable block of Tofu, for some reason. 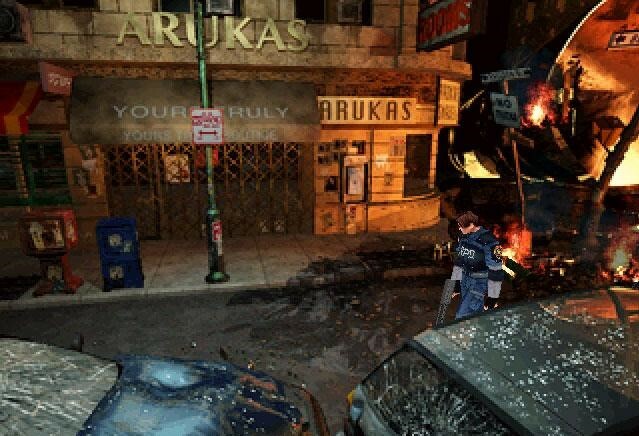 The “Zapping” system, otherwise known as the “A/B Path”, allowed players to indirectly choose the order in which characters Leon Kennedy and Claire Redfield experienced the events of the game. Decisions made by the player in the first playthrough will affect the second; for example, picking up certain items as the first character will prevent those items from appearing for the second character, and certain events and even bosses would only appear in one path or the other. This is a very interesting way to tell a story, and one that can only really exist in the medium of video games. It’s a shame that developer Capcom essentially abandoned this idea in future titles, instead opting for more traditional narrative structures, though we’d see the shadow of such an idea in the second Revelations game. The fact remains that this system worked extraordinarily well in Resident Evil 2, essentially allowing for four distinct playthroughs of the game before it got even a little stale. After that, the player had two more completely distinct modes to unlock; The 4th Survivor, which featured the rarely-playable Umbrella Corporation agent/badass HUNK, and The Tofu Survivor, in which players take on the mantle of a foul-mouthed piece of Tofu, armed with a knife. It’s an unusual addition, to say the least, but one that has (thankfully!) been confirmed to be returning in the remake coming later this month. Wong, Raccoon City and much more. It’s fair to say that every Resident Evil game released since has looked back to this title for inspiration. Resident Evil 2, then, was not only wide but deep. It had production values almost unseen at the time of release, and more than delivered on promises made but-not-quite-met by the first game. Through all its success, it’s hard to say how gracefully Resident Evil 2 has aged. Graphically, it still looks surprisingly good — while nobody would mistake it for a game from the 21st century, the pre-rendered backgrounds are detailed and clear, and the character models are as good as anything the PlayStation 1 ever had to offer. The controls are a different matter. Relying on much-maligned “tank controls” makes the game that much harder to return to in the modern age, though there’s something to be said for the tension granted by such a lack of finesse. The player is forced to choose between standing their ground and fighting, or awkwardly maneuvering past foes through tightly-packed hallways. When it comes to exploring dimly-lit offices for supplies, though, the tank controls actually benefit the player greatly, allowing them to make tight and controlled turns on the spot to investigate areas thoroughly. Keep in mind that this was an era far-removed from button prompts projected onto points of interest, making careful exploration all-the-more vital to success. Resident Evil 2 comes from an age where technical restraints were built into the core of a game’s design, and RE2, in particular, understood the tension and anxiety afforded by clumsy and awkward controls. Combined with severely limited ammunition and healing items, as well dozens of enemies, and even an immortal pursuer in either character’s B path, this means that RE2 was as stressful as any survival horror game to come in the 21 years since. However, history has since proved that such awkwardness isn’t necessary to the experience. Most famously, Resident Evil 4 proved that developers can squeeze out the same amount of suspense with a much tighter control scheme, and Dead Space went on to show how that can be taken even further. It’s perhaps no surprise, then, that the Resident Evil 2 remake (coming later this month) takes more than a little bit of inspiration from those titles, rather than just the game on which it’s based. Perhaps the most amazing thing about Resident Evil 2 is that it achieved all of this despite an extremely troubled development period. Reportedly, when the game was about 70% of the way through development, executives from Capcom and even members of the dev team, such as legendary producer Shinji Mikami, weren’t happy with how the game was shaping up. While no single element was considered problematic, the team decided that they weren’t coming together in a compelling or interesting way. So, Capcom decided to bring Noboru Sugimura on board as a writer, who suggested they scrap the story and start again. Unsurprisingly, this decision brought about major changes. Perhaps the most major alteration came in the form of Claire Redfield’s character, who was once known as ‘Elza Walker’, a motorbike racer and student at Raccoon City. Under Sugimura’s direction, the team decided to change her to Claire, partly because of a perceived lack of connections between the first and second games (she’s the sister of one of the original series heroes, Chris Redfield). The number of changes could cover an article of their own — a bigger focus on AI-controlled companion characters, two distinct stories that never overlapped and the police station, was changed from being “more modern” to the bizarre museum/police station amalgamation we’ve come to know and love. We’ve seen time and again how protracted and difficult development can negatively affect the final outcome of a game. Simply look to the infamous problems of Final Fantasy XIV, or Duke Nukem Forever. The fact that Resident Evil 2 was great is nothing short of a triumph — that it’s still one of the best examples of the genre 21 years later is a miracle. 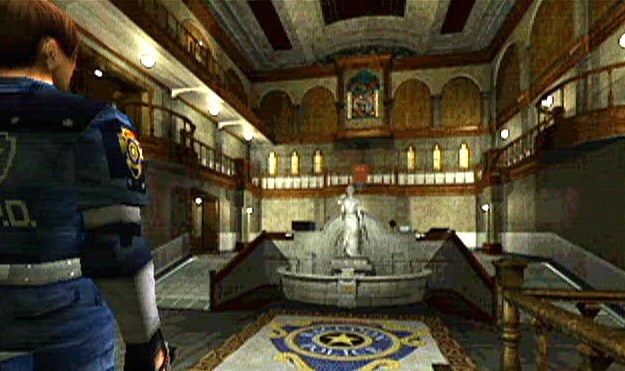 As a series, Resident Evil is synonymous with “survival horror”. It’s a series about tension, anxiety, and uncertainty, as well as cheesy dialogue and ridiculous, monstrous enemies. It’s been 21 years since Resident Evil 2 released, and even through titles as legendary as the fourth entry, no game has ever been quite as uniquely “Resident Evil” as the second game. And, barring perhaps the remake due later this month, it’s unlikely that any game ever will be.